1. Hayk Demoyan (Armenian Genocide Museum & Institute) Cultural Genocide as challenge of 21 century. 2. Erwin Weegenaar (Ministry of Justice Netherlands) Destruction of Cultural Property as an International Crime: Cases of the International Criminal Tribunal for the Former Yugoslavia. 3. Vladimir Vardanyan (Constitutional Court of the Republic of Armenia) The codification of the responsibility for the Cultural Genocide in Contemporary International Law. 4. Seda Parsamyan (Armenian Genocide Museum & Institute) The Continence of Destruction of the Armenian Cultural Heritage in the context of changes of Turkish Governments. 5. Lusine Sahakyan (Yerevan State University, the Faculty of Oriental Studies) The policy of Turkification of the Toponyms as a part of Cultural Genocide. 1. Hamlet Petrosyan (Yerevan State University, Faculty of Cultural Study) Cultural ethnocide in Artsakh. The Mechanisms of Appropriation of Cultural Heritage. 2. 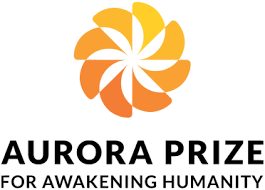 Pamela de Kondappa (Kings College) Great Britain, The Cultural Genocide. theoretical approaches. 3. 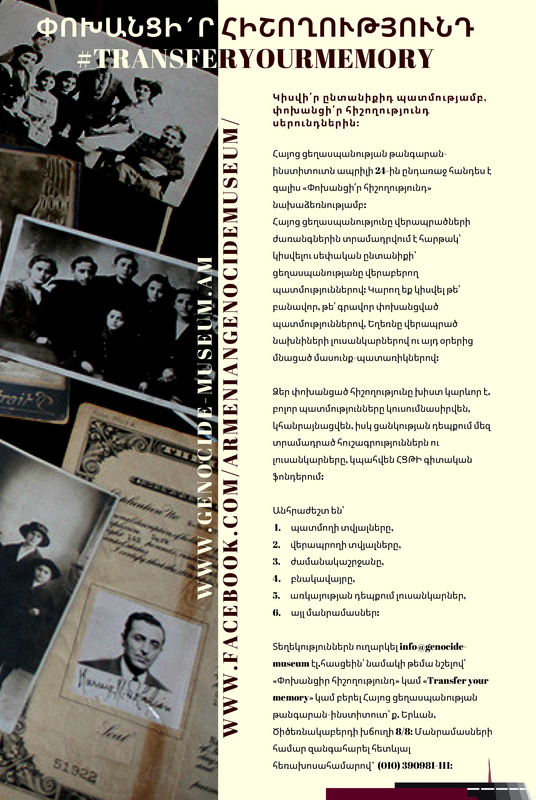 Nikol Margaryan (Yerevan State University, Faculty of Cultural Study) Names in the Context of Cultural Genocide. 4. 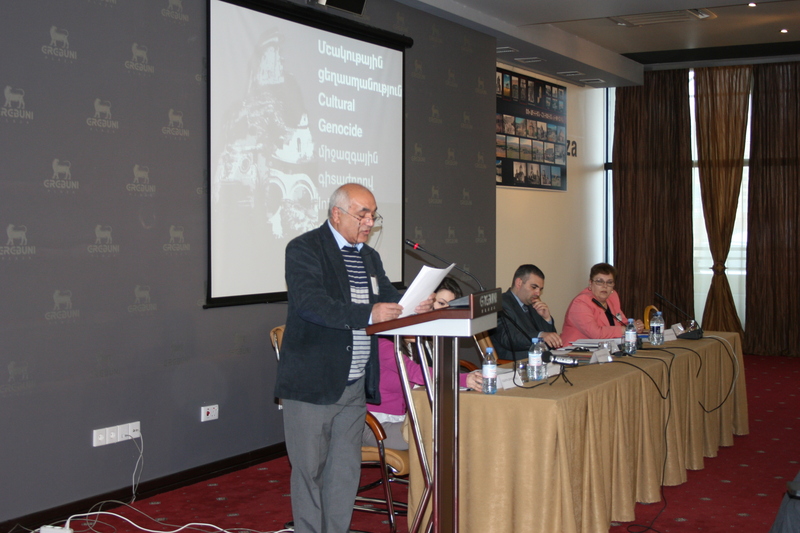 Anush Hovhannisyan (Institute of Oriental Studies) Armenocide in the context of Cultural Genocide. 5. Eva Merenic (Hungary) The propaganda policy of Turkey and Azerbaijan in Hungary. 6. 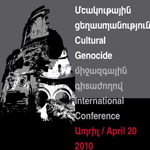 Lilit Petrosyan (вЂњTsiraniвЂќ NGO) Cultural Genocide. Legal analysis. 1. Samvel Karapetyan (Research of Armenian Architecture) The Condition of the Armenian Monuments in Western Armenia. 2. Ashot Hakobyan (Research of Armenian Architecture) The restoration of the Armenian monuments in Western Armenia. 3. 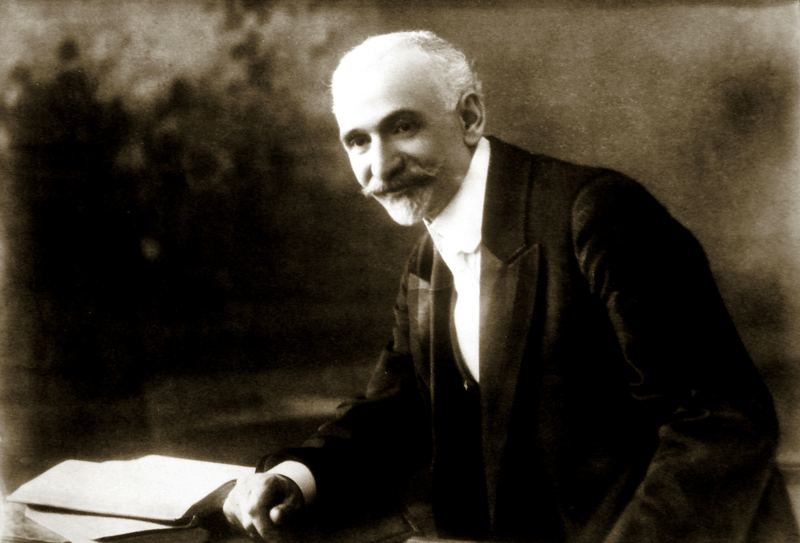 Raffi Qortoshyan (Research of Armenian Architecture) The Information Concealed in the Turkish language Signboards of the Monuments of Western Armenia. 4. Anna Aleksanyan (Armenian Genocide Museum & Institute) The folk music and Armenian Identity in the Ottoman Empire and Republic of Turkey. 5. 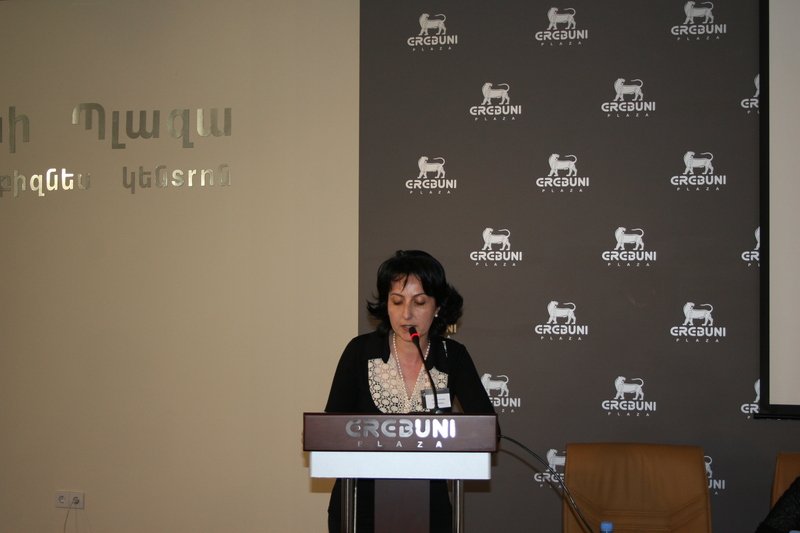 Hasmik Grigoryan (Armenian Genocide Museum & Institute) The Main Motivation of the Large-Scale Participation in Genocides. The case of the Armenian genocide.